I study transpiration of urban forests and irrigated lawns in the Los Angeles metropolitan area. My results help understand water use of urban landscapes, constrain urban water budgets and ultimately develop water-wise strategies for cities in semi-arid environments. 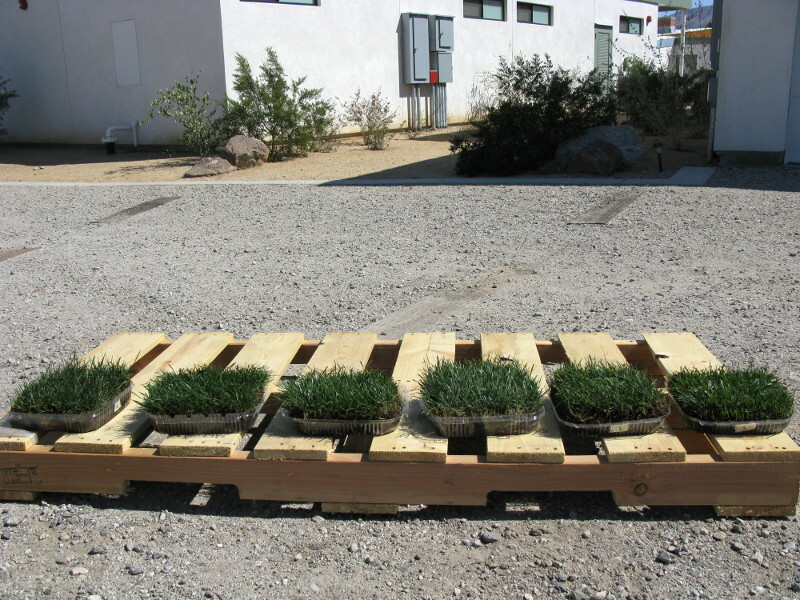 When I was a PhD student at UCI, I measured transpiration of urban lawns from rapid changes of atmospheric humidity within small chambers that I placed on top of turfgrass lawns. To make sure the transpiration is measured correctly, sensor readings needed calibration. 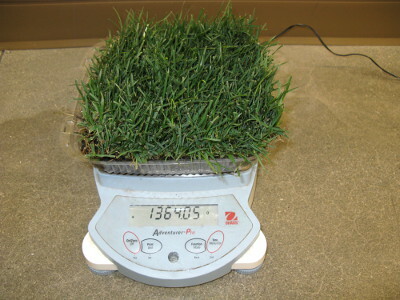 To achieve this, I used pieces of irrigated turfgrass lawn placed in non-leaking trays as calibration samples. I used sensitive scales to measure changes in weight of the samples due to water loss, while using the same chamber to measure transpiration. I found strong correlation between transpiration of these samples and their weight loss. This verifies that the method is robust and may be used with confidence. However, in my original study I struggled to reproduce hot and dry conditions that may affect urban lawns during Santa Ana winds. The nice weather, otherwise desirable, prevented evaluating the method performance at these extreme conditions. Good thing, there is Anza-Borrego research center! However, I currently live in Florida, and work remotely as a post-doctoral fellow at the University of Utah. 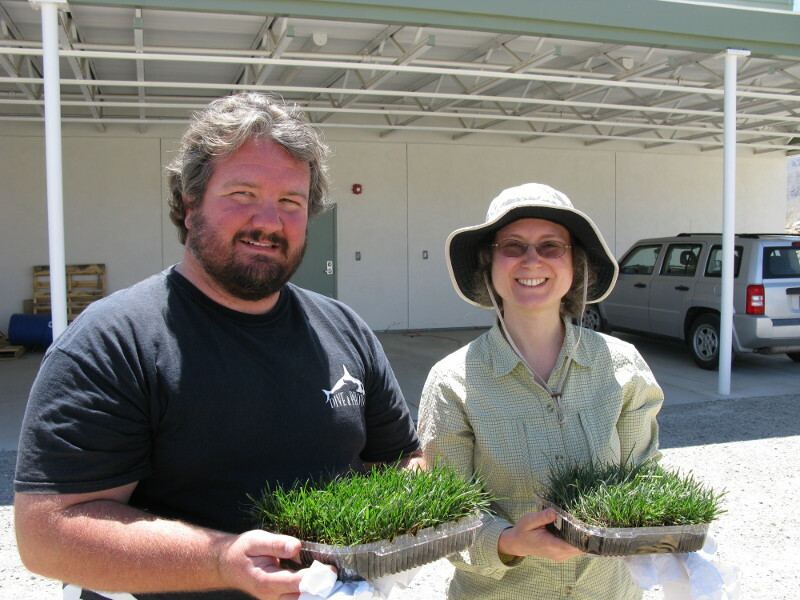 Fortunately, Scot Parker, a PhD student at UCI, agreed to collaborate on this project. He arranged our trip to Anza-Borrego and helped with all the logistics. 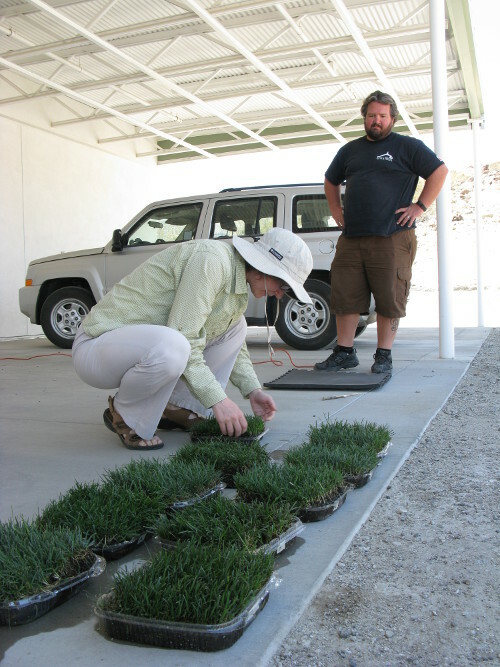 Scot and I came to Anza-Borrego and ruthlessly left our lush green turfgrass outside, while staying in the nice air-conditioned facility most of the time ourselves. The ambient temperature was 100 degrees, and humidity was 10%, just what was needed for calibration. For each measurement, we would quickly go outside, take another data point, and jump back in. Many thanks to Elaine Tulving, who was very helpful and caring! 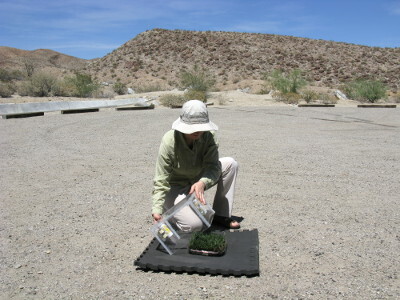 And guess what – a single day trip to Anza-Borrego was enough to successfully complete calibration!